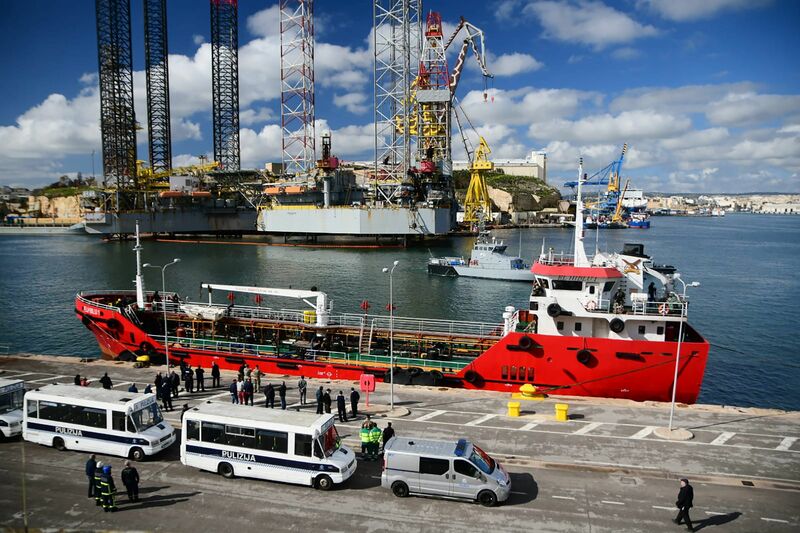 Migrants disembark from the motor tanker El Hiblu 1 in Valletta's Grand Harbour after Maltese armed forces took control of the vessel on Thursday. About 6 miles from Tripoli, the migrants reportedly forced the 12-man crew to reverse course, heading back toward Europe. Italy's interior minister, the anti-immigration Matteo Salvini, vowed the migrants would not be allowed into Italy. "They are pirates," Salvini said in Italian in a Facebook post on Wednesday. "The only way they will see Italy is through a telescope." 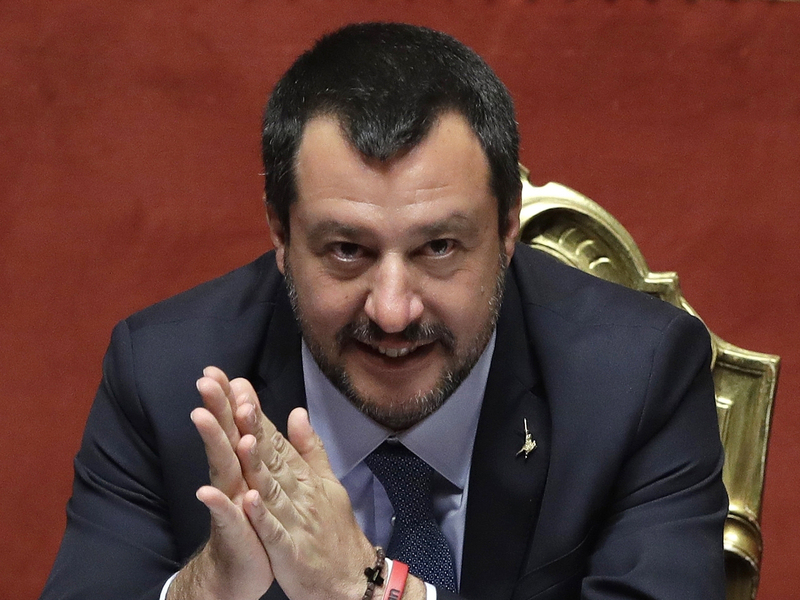 Italian Interior Minister Matteo Salvini, shown March 20 at the Italian Senate in Rome, vowed the migrants would not be allowed into Italy. The episode highlighted the continuing tension between migrants seeking a better life and European countries that refuse to accept them. Migrants have been attempting to flee oppressive governments in Africa and the Middle East for some time, but such hijackings are essentially unheard of. 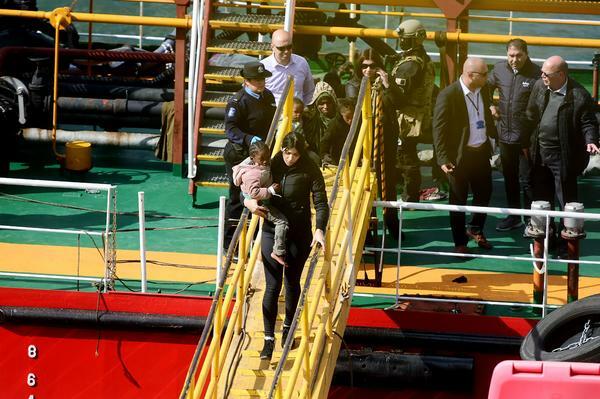 Salvini described the incident as "the first act of piracy on the high seas with migrants," the Italian news agency ANSA reported. Migrants attempting the sea journey to Europe regularly set off from Libya. Sometimes their precarious rafts sink in the Mediterranean, killing everyone on board. In November, after rescued migrants refused to disembark from a ship returning to Libya, that country's coast guard forcibly removed them and placed them in detention centers. Migrants captured in Libya often say they are subject to torture or sold into slavery. Police forces stand on the pier Thursday near El Hiblu 1, which reportedly was hijacked by migrants it had rescued off Libya. Maltese armed forces took control of the vessel on Thursday.